A small basement apartment gallery in Midtown Kansas City. MO. 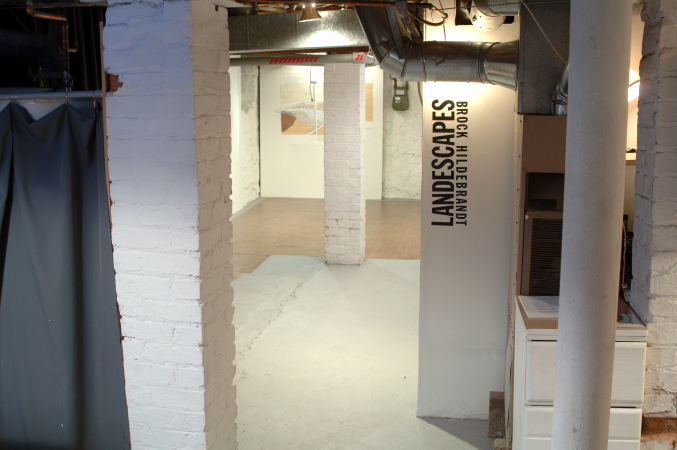 Subterranean Gallery facilitated dialogue and community engaged programming that extended the reach of already established and emerging visual artists, writers, and thinkers. Through an active online presence and programming schedule Subterranean Gallery aimed to be a catalyst for artists who benefitted from enhancing the digital presence of their practice and thought. 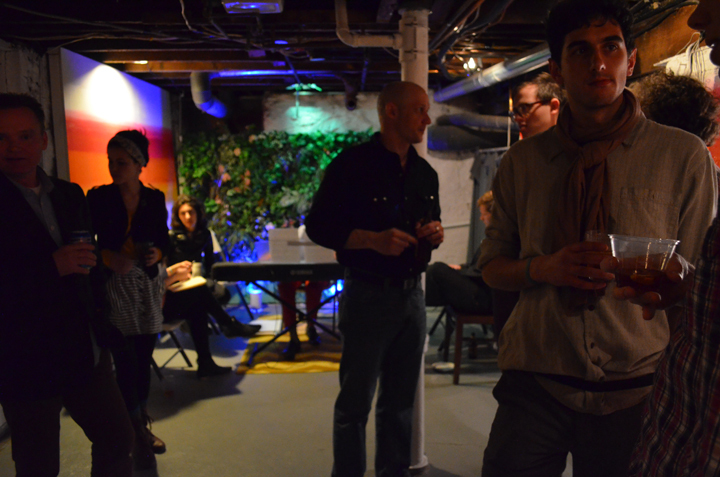 Subterranean Gallery, founded in 2010 by Ayla Rexroth, was an underground hybrid art and domestic space in Kansas City, Missouri. Rexroth acted as artist, curator, and hostess by modifying her apartment to accommodate the installation of artworks. In contrast to the traditional “white cube” gallery, Subterranean always strived to facilitate an environment that engages creativity with intimate ambiance. Consistently working to create opportunities for the Kansas City art community, Rexroth emphasized the importance of collaboration between artist, site, and artwork. After a three year history of 8 exhibitions and 19 public events, the gallery changed hands. 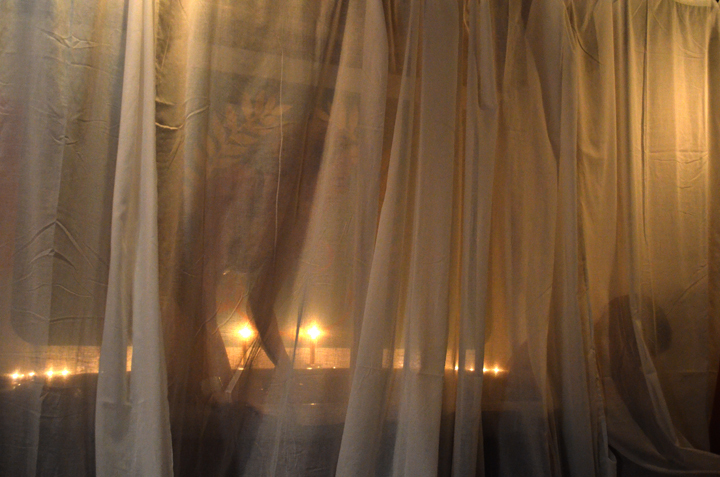 In 2013 resident and director Melaney Mitchell continued Rexroth’s mission focused on taking the genuine experience and interaction that happens at Subterranean Gallery and sharing it with the expanding audience online. She is currently an editor for Informality Blog a new online art and culture publication for Kansas City that will work in tandem with the exhibitions and programming at Subterranean Gallery. Informality aims to to enhance outreach in order to allow Kansas City artists to engage with the worldwide image and thought making community through social media. This increased discourse was focused on helping reshape the city’s art economy by importing collectors and exporting our work and dialogue. 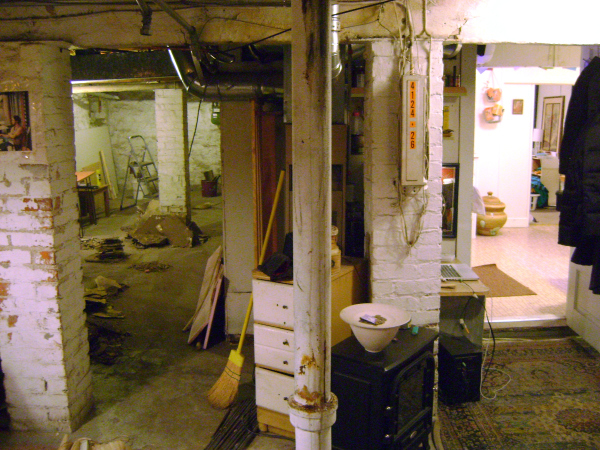 is a place that exists between the strange and unexpected histories of a basement domestic space. Midwestern suburban basements are usually filled with walnut wood panelling, old shag carpet, light up signs for Old Style beer, and stacks of now unused teal green Tupperware jello molds. The experience of art in that space, in lieu of ones own father's collected sports memorabilia, allows for a different kind of conversation. One that is more intimate and familiar, even though it is a gallery for contemporary art. It's a space of collaboration but more importantly a space for conversation. The talk of art in Kansas City is the hearth of what makes a stark white painted basement apartment a wonderful space see and be with art. 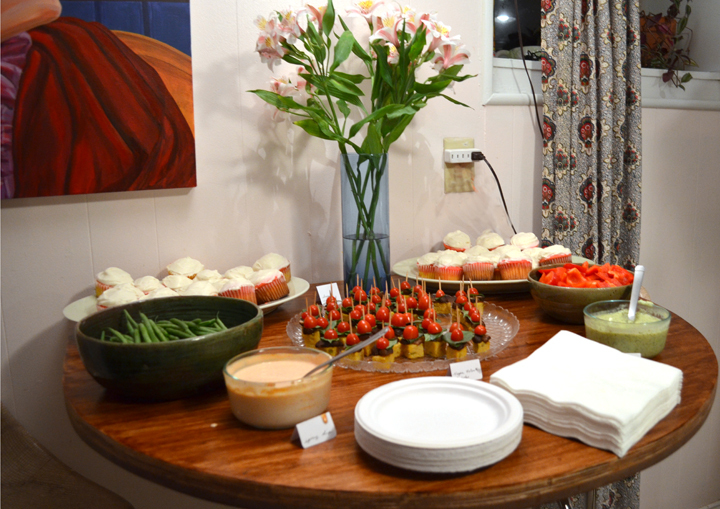 The aim of the Hot Tub Dialogues was to create an open conversation between emerging and established members of Kansas City’s arts community by interacting in an informal setting. Co-curators of the series Clayton Skidmore and Ayla Rexroth launched an online Kickstarter fund raising campaign in November 2011 and received over $2,500 to produce the series. In my first few months as Director of SUB I was able to show the lovely figurative work of my friend Rachel Gregor and the experimental interior installations of R. Shrum. These shows really helped me solidify a programming-centric approach to exhibitions, curating weekend events that related to the artist's practice and interests. 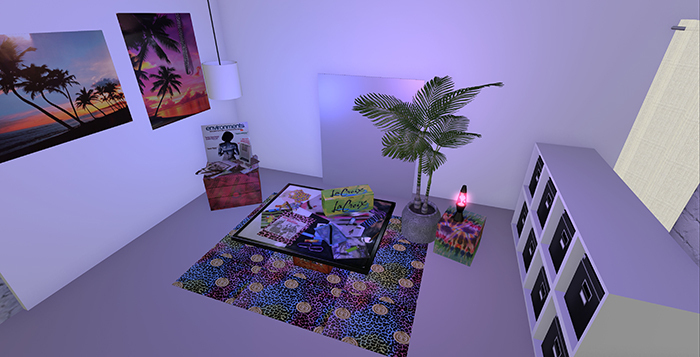 The Digital Exhibition Series was an open national call for work that was in conversation with net art and other web based practices that reconsidered the context of virtual spaces in a domestic gallery. Digital art is often presented in traditional white-cube settings, yet the monitor, television, or other screen-based technology native to the home. The way we connect with computers is typically in a private space. Were interested in exploring how these exhibitions can walk that line of familiar interaction. The last two shows at Subterranean Gallery were such a lovely bookend to the early 2014 exhibitions. Somebody's Home, the November exhibition, featured work by Juliana Noelle Jumper and Erin Dodson both artists work situated the awkward fragmentation of coming of age and girlhood the suburbs. Dodson's photographs created the setting for Jumper's interior cut paper works and animations. The Glory Days Will Not Last Forever was the final show at SUB, featuring a huge party decor installation by Amy Kligman (with much help from our gallery interns Rebecca Pech Moguel and Patricia Bordallo!) 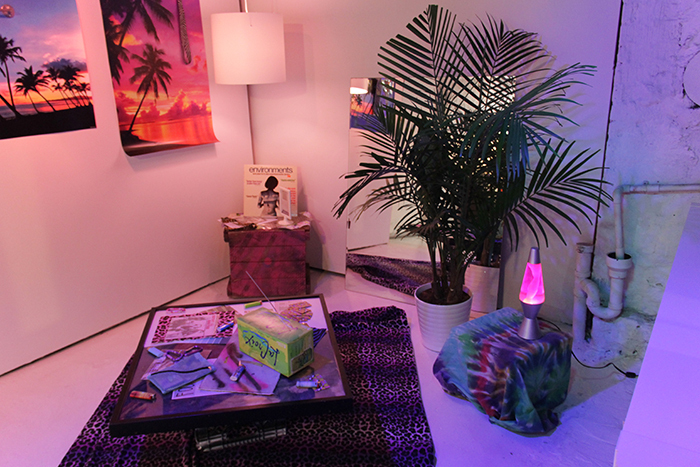 The exhibition opening featured a performance by Blanket Undercover, a video work by Melissa Lenos, and a witch house dj set of one-hit-wonders by Kevin Heckart. A HUGE shout out to Patricia Bordallo Dibildox (left) and Rebeka Pech Moguel (right) for helping to make the exhibitions possible from 2014-2016!